Organist en toetsenist Cory Henry is vooral bekend door Snarky Puppy, de succesvolste funk-soul-jazzformatie sinds tijden. Met die band was hij al meerdere malen in Nederland. Deze maand speelt hij met zijn duo The Revival soulvolle funkjazz die herinnert aan de legendarische Hammondspeler Jimmy Smith. Henry put daarbij uit de rijke erfenis van gospel en andere bezielde muziek. En dat kan hij, want hij speelt al Hammond sinds zijn vroege kindertijd. 15-5 Music Meeting Nijmegen, 19-5 Bimhuis, 21-5 TivoliVredenburg, 22-5 Summer Jazz Fest Leiden, 3-6- Hnita Hoeve Heist op den Berg, België. Ook op het Northsea Jazz Festival is Cory Henry te horen, zowel met The Revival als met The Funk Apostels, op zondag 10 juli. Van oude gospelsongs tot soul, jazz en Stevie Wonder: in The Revival gaat Cory Henry terug naar de muziek van zijn jeugd. Toen bracht hij nog hele dagen door in de kerk achter de Hammond-B3, het orgel dat hij al op 2-jarige leeftijd leerde bespelen. Al op zijn negentiende begon Henry met toeren, waaronder drie jaar met jazzlegende Kenny Garrett. Televisiewerk deed hij onder meer in de Jimmy Fallon Show. Hij werkte met indrukwekkende namen zoals Robert Glasper, Lalah Hathaway, Bruce Springsteen, The Roots, Betty Wright, Marcus Miller. In het Bimhuis treedt hij op met de drummer Taron Lockett, de vaste drummer van The Funk Apostels. Een andere eigen band is Cory Henry & The Funk Apostles: funk, jazz maar ook rock, electro-rock en dance: hoe dan ook altijd groovy. Snarky Puppy, collectief uit Brooklyn New York maakt een (meestal) instrumentale mix van funk, jazz en soul, met invloeden uit de rock. Het collectief wordt geleid door bassist, componist en producer Michael League. Het collectief werd in 2004 opgericht op de University of North Texas in Denton, Texas, waar een groot aantal leden van het collectief student is geweest. 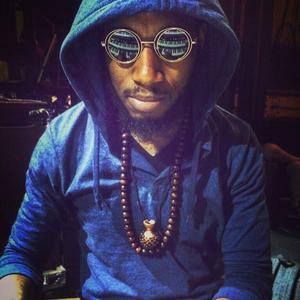 Organist and keyboardist Cory Henry is best known from Snarky Puppy, the most successful funk-soul-jazz band in ages. With that band he performed in the Netherlands several times. This month, he plays here with his duo The Revival: soulful funk jazz reminiscent of the legendary Hammond player Jimmy Smith. Henry draws from the rich heritage of gospel and other inspirational music. And he is able to do so, because he’s been playing Hammond since his early childhood. 15-5 Music Meeting Nijmegen, 19-5 Bimhuis, 21-5 TivoliVredenburg, 22-5 Summer Jazz Fest Leiden, 3-6- Hnita Hoeve Heist op den Berg, België. Also to be heard at , july 10, with The Revival and also with The Funk Apostels. From old gospel songs to soul, jazz and Stevie Wonder: Cory Henry’s Revival goes back to the music of his youth. Back then he was in church every day, behind the Hammond B3 organ which he learned to play at the age of 2. Henry is known for his virtuosic and rich playing, that refers back to the unpredictability of jazz pianists Art Tatum and Oscar Peterson. He controls the full width of the jazz and gospel idiom and therefrom creates surprising new material. Cory has enormous technical skills, sings very convincingly, and can play all genres and styles. He can put all that into one piece at the same time and thus turnes standards like Yesterday or the uptempo jazzbebop tune Giant Steps into a new experience. At nineteen Henry began touring, including three years with Jazz legend Kenny Garrett. Television work he did for example in the Jimmy Fallon Show. He worked with impressive names like Robert Glasper, Lalah Hathaway, Bruce Springsteen, The Roots, Betty Wright, Marcus Miller. In the Bimhuis he performs with drummer Taron Lockett, with whom he also plays in The Funk Apostels. Another group of his is Cory Henry & The Funk Apostles: funk, jazz as well as rock, electro, rock and dance: groovy in every detail. Snarky Puppy, collective from Brooklyn New York makes a (mostly) instrumental mix of funk, jazz and soul with influences from rock. The collective is headed by bassplayer, composer and producer Michael League.The collective was founded in 2004 at the University of North Texas in Denton, Texas, where a large number of members of the collective studied.